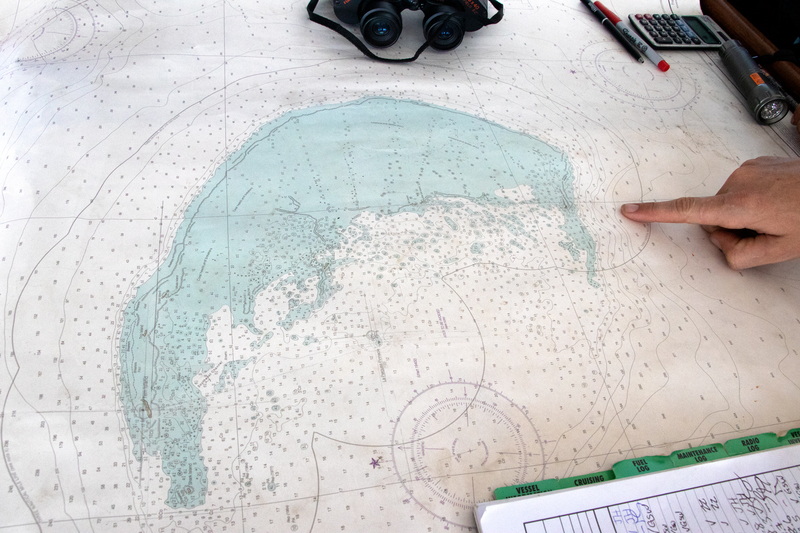 Pictures tell the story of the M/V Searcher’s journey to one of the most remote spots on earth in search of tiger sharks and their unsuspecting prey. 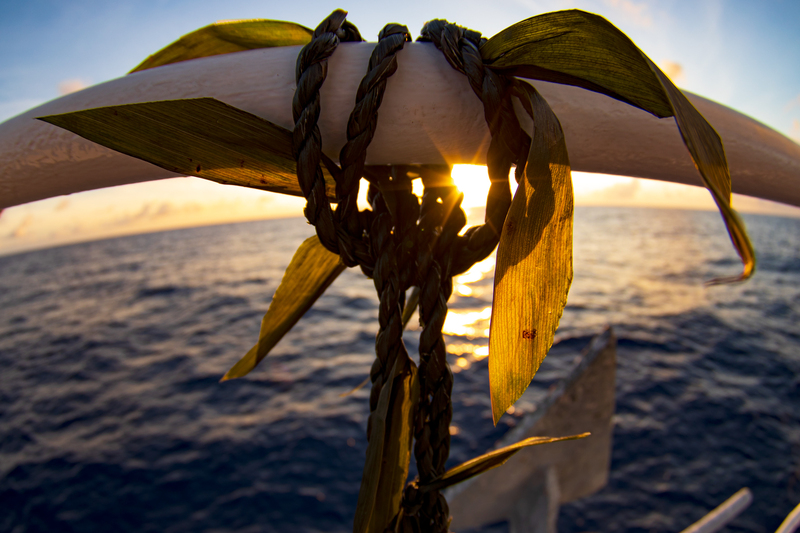 A ti leaf lei is tied to the bow of the M/V Searcher as it sails from Honolulu to French Frigate Shoals, known as Lalo in Hawaiian. The atoll is in Papahanaumokuakea Marine National Monument, about 560 miles from Oahu in the northwestern Hawaiian Islands. 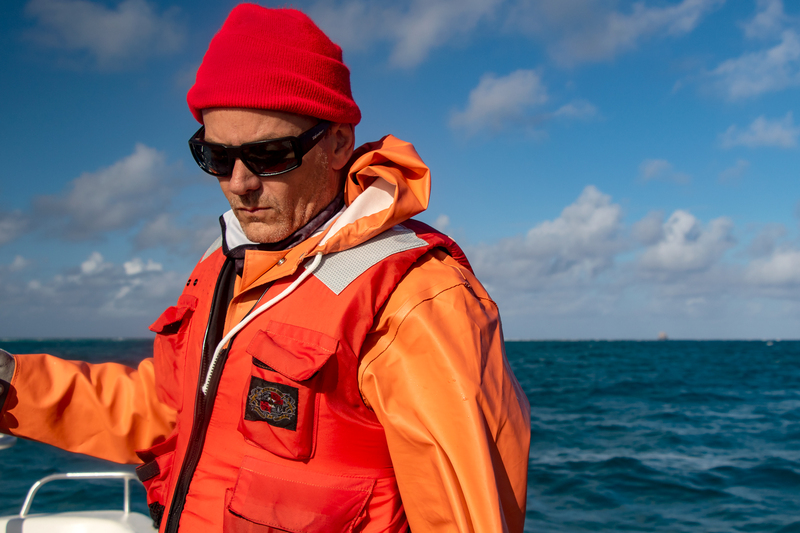 Carl Meyer, a marine biologist with the University of Hawaii, is a shark expert. He and his team of researchers are studying the feeding and movement patterns of tiger sharks in particular. Tiger sharks grow to about 14 feet in length and can weigh upwards of 1,400 pounds. 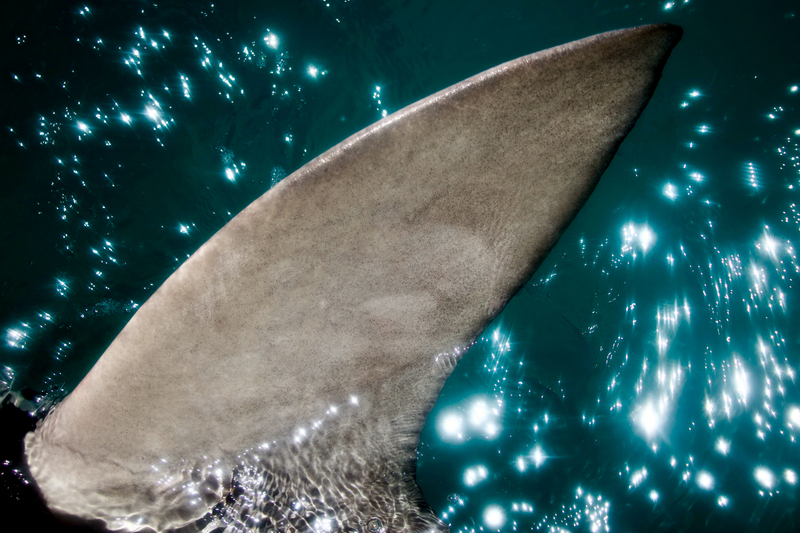 Here a tiger shark’s dorsal fin breaks the surface. 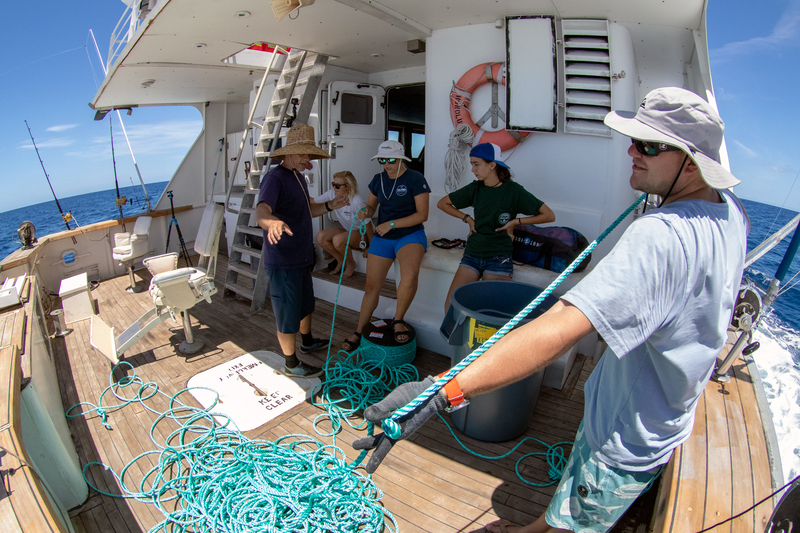 UH researcher Carl Meyer, far left, gears up with his team, from left, Julia Hartl, Kaylee Skidmore-Rossing, Kelsey Maloney and Christian Clark. They’re preparing long lines to be baited with hooks to catch tuna and other fish that will be used to catch tiger sharks. 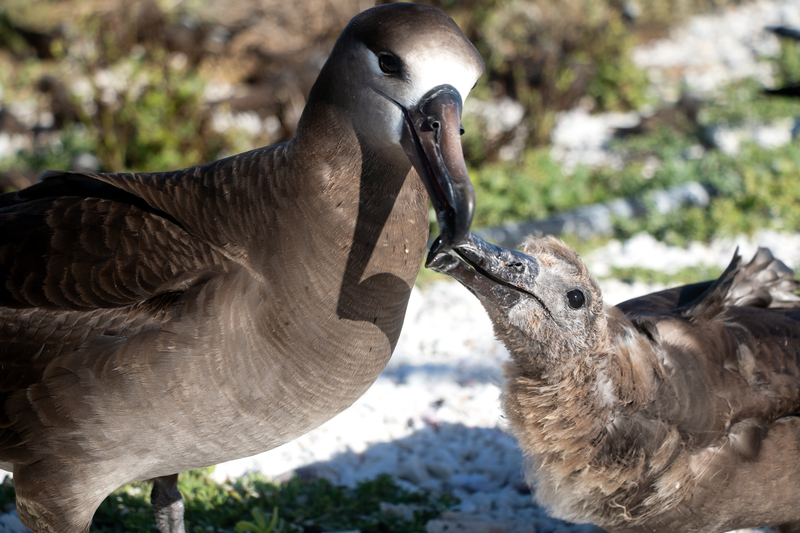 A black-footed albatross tends to its chick on East Island, a deserted speck of land in French Frigate Shoals that hosts a bounty of wildlife. Fledgling albatross chicks take their maiden flights at the same time each year, within a window of a few weeks. They often land in the water where tiger sharks are waiting. Researchers want to know how tiger sharks know to go to such a remote part of the world for this easy meal. 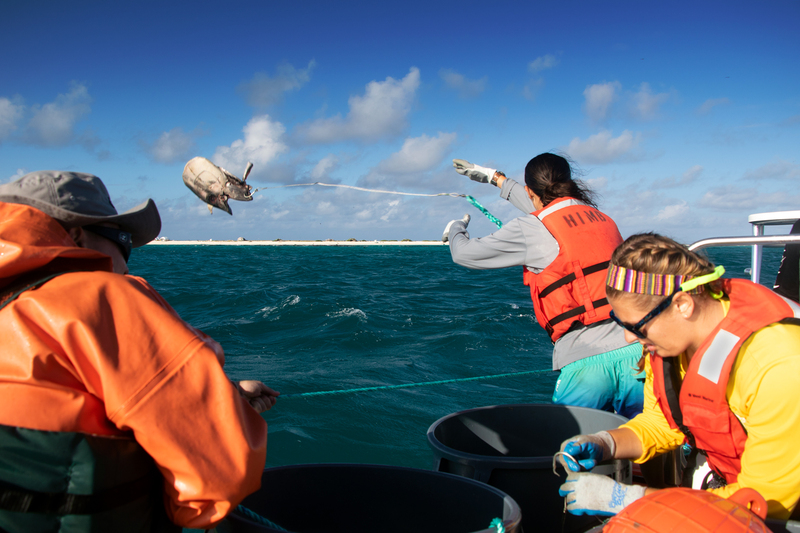 The tiger shark team throws a line baited with an ahi head to catch tiger sharks. 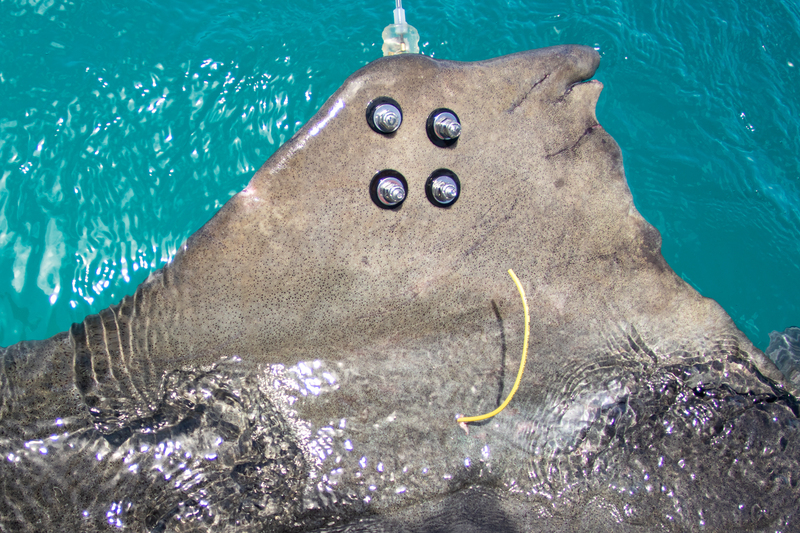 They will reel in the sharks, take measurements and fit them with tagging devices and underwater cameras. Tiger sharks are highly evolved and well equipped to travel great distances in search of prey and hunt with incredible efficiency. But the population has fallen due to threats from fishing, both as bycatch and because they’re targeted for their fins. They are listed as “near threatened” by the International Union for the Conservation of Nature. French Frigate Shoals, a crescent-shaped atoll that boasts almost 300 square miles of coral reefs, is home to several hundred different species that live there and are protected by federal law. 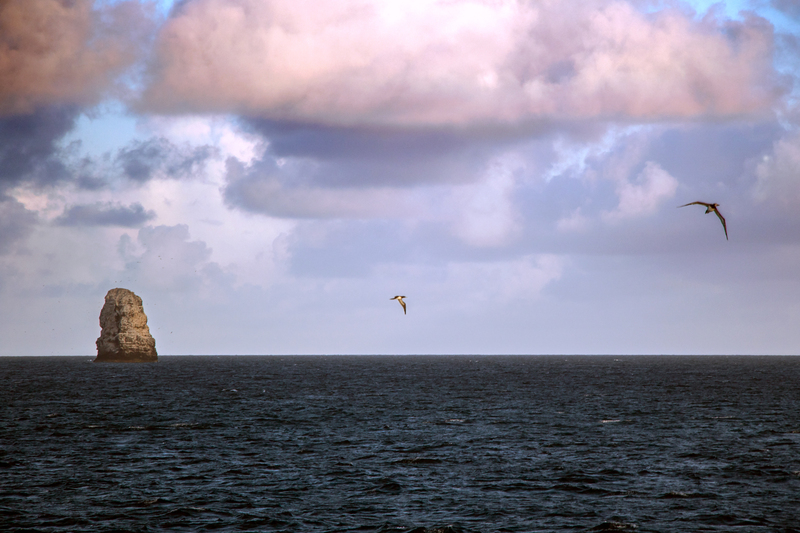 A Laysan albatross rests as the sun sets. 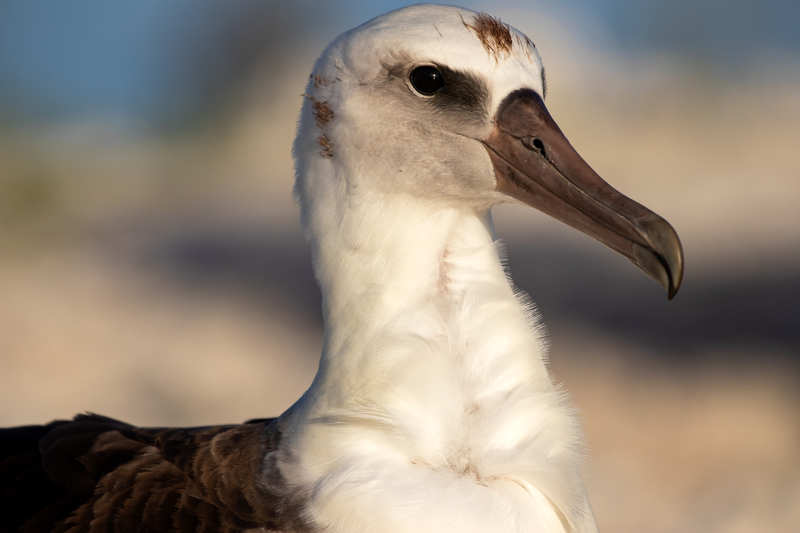 French Frigate Shoals, as well as other islands in Papahanaumokuakea Marine National Monument, provide a refuge for albatross and millions of other seabirds. 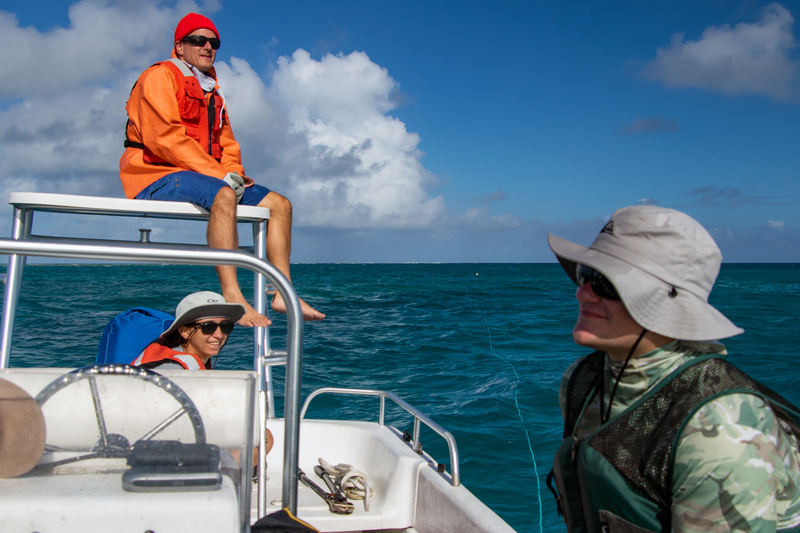 Carl Meyer, atop the boat, and members of his research team, Kelsey Maloney and Christian Clark, wait for a bite. Sometimes it takes hours before a tiger shark will take the bait. 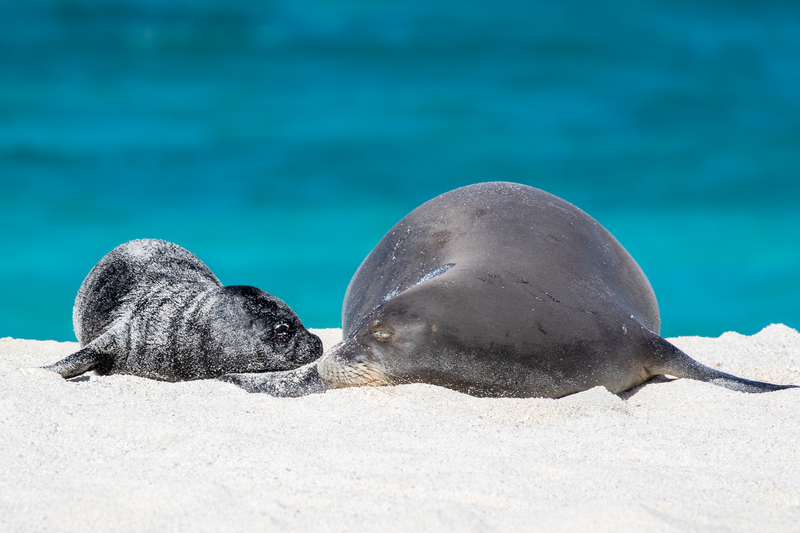 French Frigate Shoals serves as a breeding ground for Hawaiian monk seals, a critically endangered species. Fewer than 1,400 are left in the world. Tiger sharks have been known to prey on the pups. 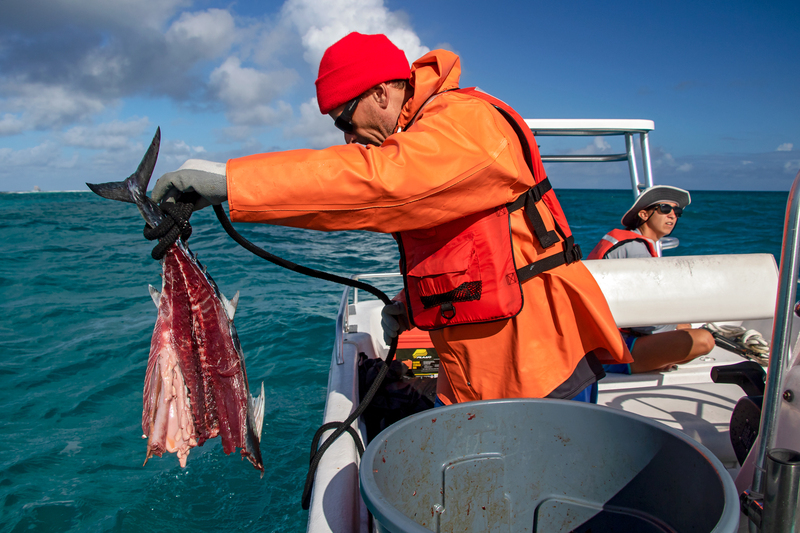 Carl Meyer prepares to throw a chunk of ahi meat into the water to attract tiger sharks. 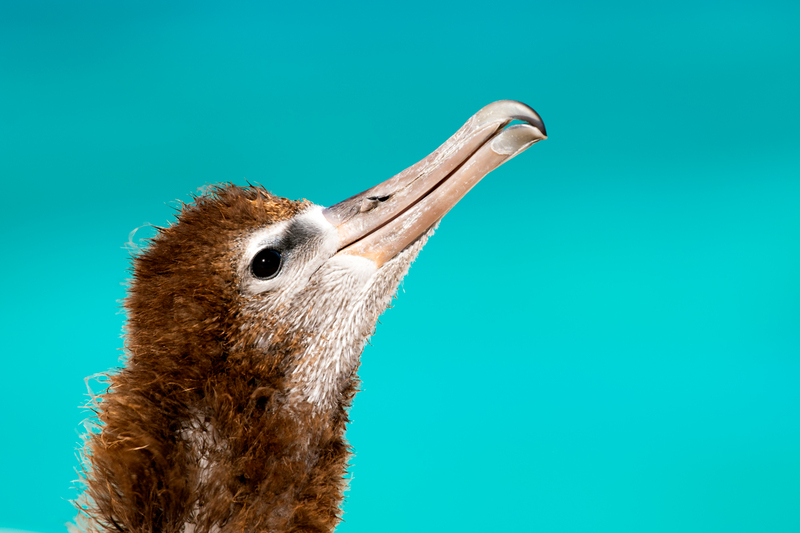 A juvenile Laysan albatross looks to the sky in French Frigate Shoals. 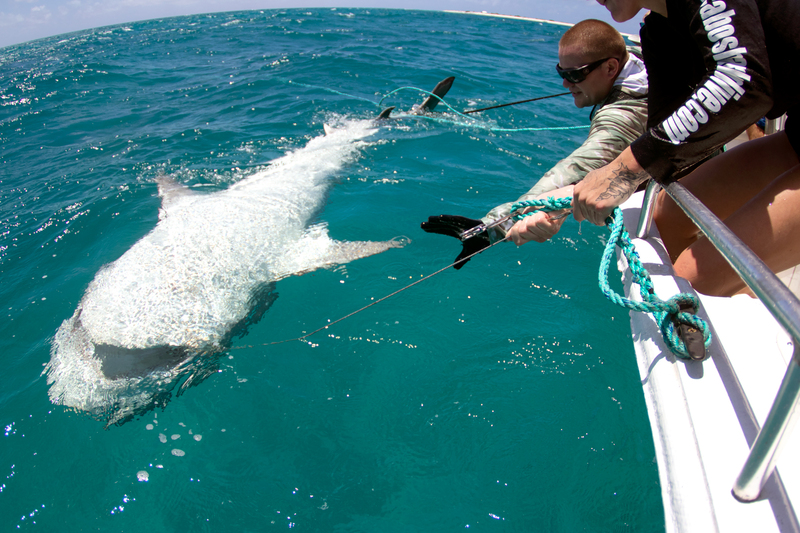 Christian Clark and Julia Hartl pull in a tiger shark that they caught for research purposes. It is in essentially a catatonic state on its back, which allows the team to pull it alongside the boat and tag it. 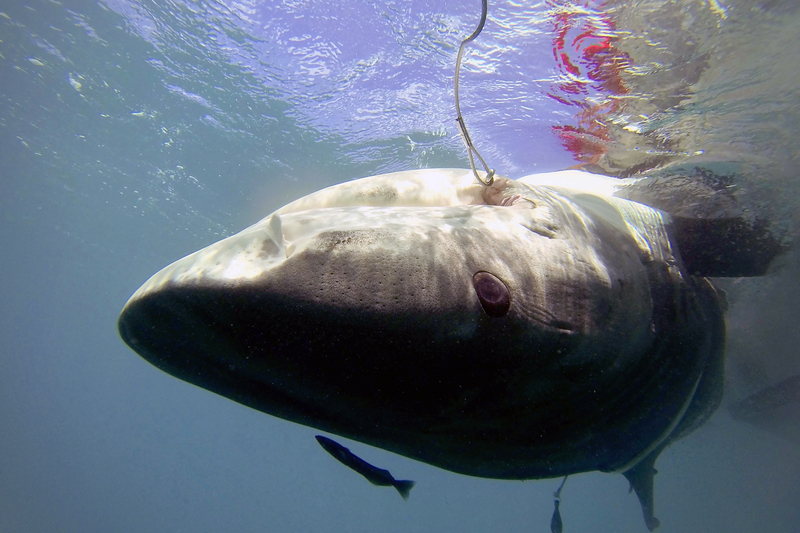 Scientists hook a tiger shark by baiting a line with ahi. 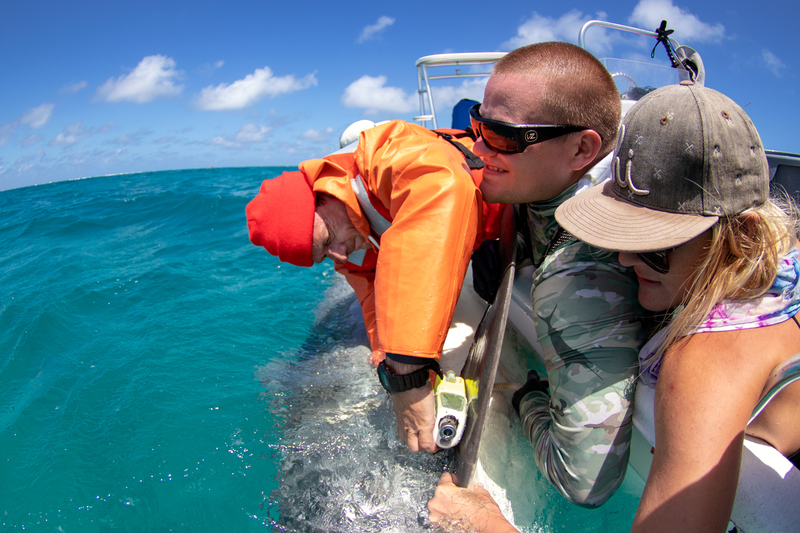 Carl Meyer installs a camera to a tiger shark’s pectoral fin as Christian Clark and Julia Hartl help keep the animal secured. 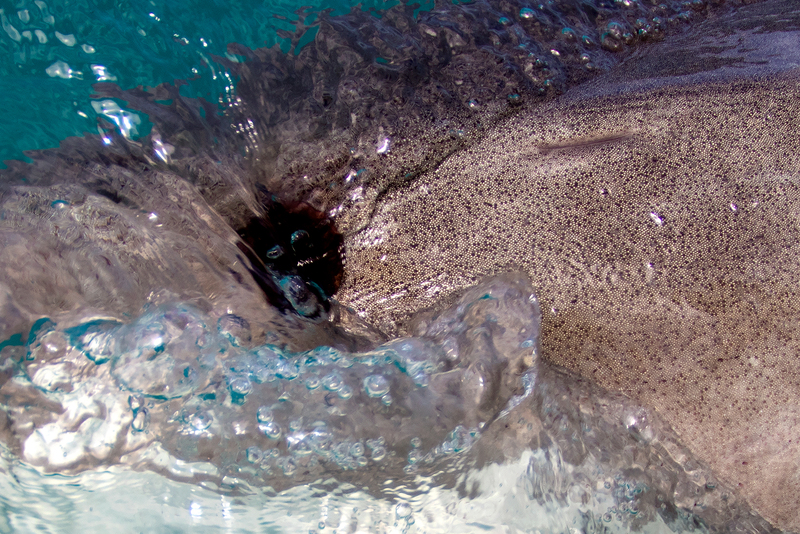 Scientists bolt a tracking device to the fin of a tiger shark. Little is known about tiger shark migration patterns. 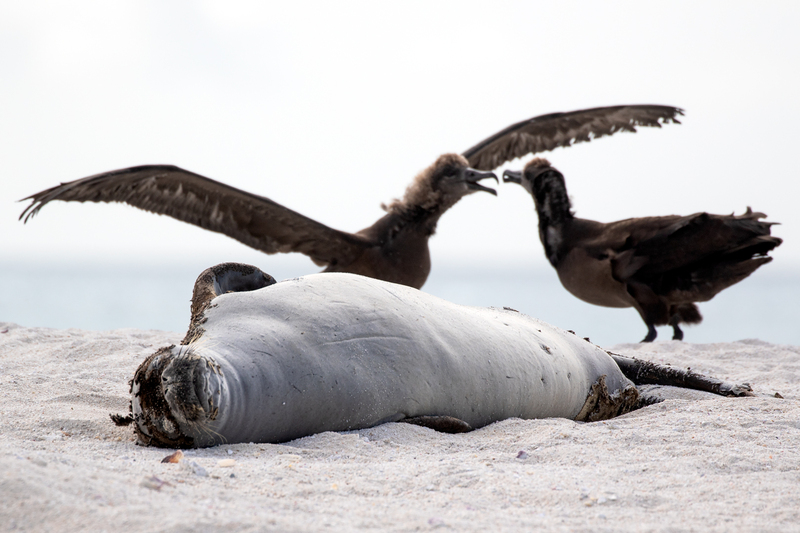 An endangered Hawaiian monk seal snoozes while two young black-footed albatross squabble on an island in French Frigate Shoals. 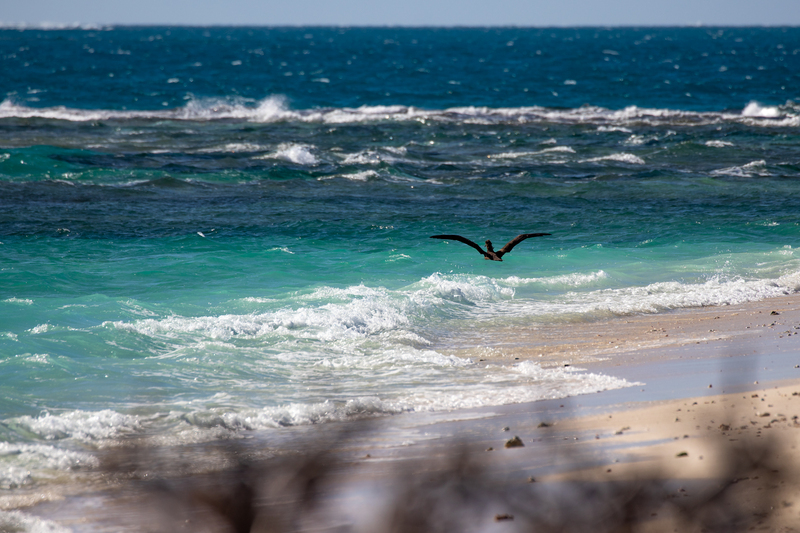 La Perouse Pinnacle, a remnant of French Frigate Shoals’ volcanic past, stands 120 feet above the surface — the highest point of all the Northwestern Hawaiian Islands. It is named after Compte de La Pérouse, who visited the atoll in 1786.